Flipping a physical switch on your HVAC system is such an archaic concept compared to today’s WiFi-enabled thermostat models. With either a simple or complex touchscreen, modern thermostats give you a chance to control heating and cooling at the panel or through a WiFi connection. The system isn’t magical, however, making it important to understand certain aspects of the technology before deciding on a purchase. Unless you have a professional install the thermostat, you’ll need to be ready to pour your heart out to it in the form of information. Thermostats often ask for a city or ZIP code to access regional weather patterns. It will base some of this information for your heating and cooling parameters. You’ll also need to input the type of equipment attached to the device. From heat pumps to boilers, HVAC systems are widely diverse. With exact information about the surrounding temperature and equipment, the WiFi thermostat has a smart starting point for accurate controls. Your new thermostat can’t function correctly without constant connection to your WiFi system. During setup, the system searches for local networks. Assuming your system is password-protected, enter the code in the thermostat. It holds this code to “talk” to the Internet as it precisely controls the interior temperature. If you ever change the password for security reasons, be sure to input it again in the thermostat. Also note the thermostat’s location relative to the WiFi base. Consider moving either the thermostat or the WiFi box closer together to prevent any connection issues. If you don’t own a smartphone or tablet, you’ll want to invest in one of these mobile gadgets to access your thermostat on-the-go. 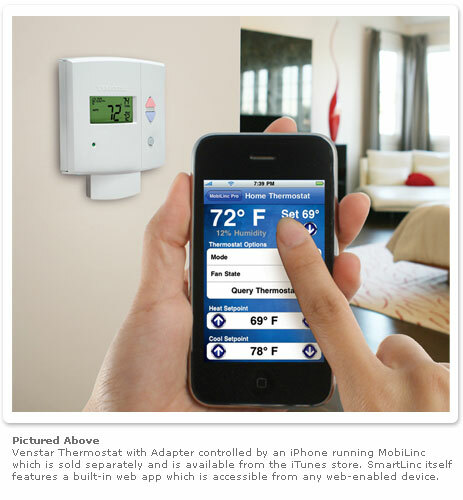 Download the thermostat’s app onto the device to access the system from the office or even on vacation. Many of the features are easier to adjust through the app as opposed to the touch screen. Never worry again about the air conditioning running all day when no one is home. Control at the touch of a button saves you money. Although it may feel like a science fiction story come true, most WiFi thermostats do collect data based on your system use. If you turn on the heater each weekday at 6AM, for instance, the system could adjust for this habit and create a program for automatic activation. You always have the chance to alter the system if it’s not to your liking. The concept of data collection is to lower your energy bills with smart operations instead of manual selections sporadically through the day. As technology becomes smarter every day, updating your home is a clever way to stay ahead. Your home stands out as a technological dream during open houses, for example. The ease of WiFi for you and potential buyers is reason enough to price the gadgets for your next improvement project. Home automation is the future! 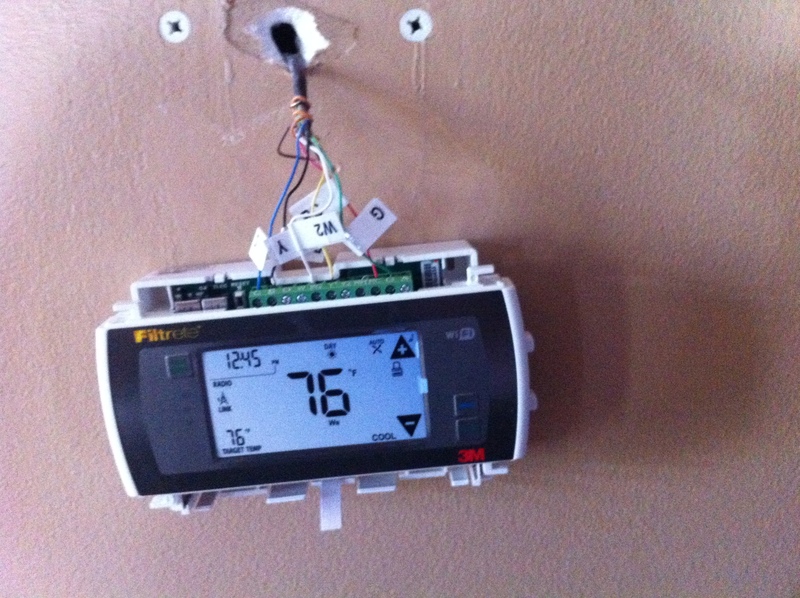 Click here more information on wifi thermostats!